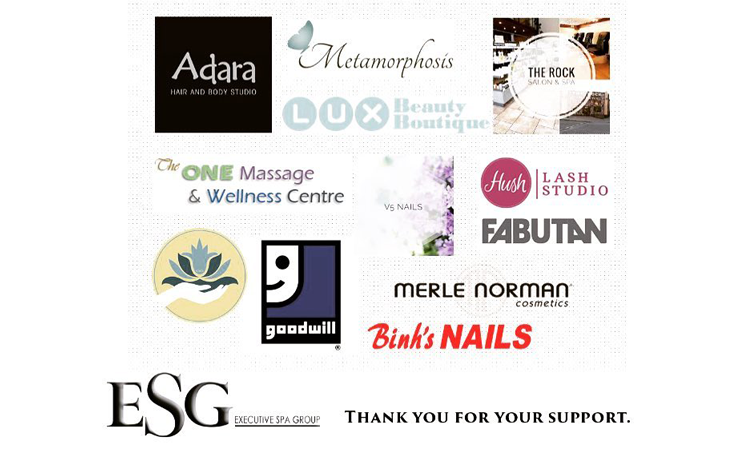 Thanks to all of our Beautiful Futures mentors who guide and shape the beauty careers of Canadian youth! ESG is looking for employers to participate in our ‘Beautiful Futures’ program by providing a 12-week work experience mentorship in an entry-level position to a participant. Beautiful Futures is funded by the Government of Canada. This program trains participants in technical and employment skills, and provides work experience opportunities to youth aged 15-30 years old that are keen on joining Alberta’s beauty industry. Why participate as an Employer? A substantial wage subsidy is available for employers throughout the 12-week work experience. Employers are encouraged to continue working with youth after project completion should they wish to do so. Your participant will be certified and apt to provide services in the focus skill. Prior to their paid work experience with you, your participant will have spent eight (8) weeks with ESG acquiring employment skills such as Time Management, Conflict Management, Teamwork, Customer Service, etc. In the same way issues can arise with any other staff members, ESG can help you integrate your participant to your team using a solution-focused approach. Work experience is a main component of the participants’ professional development. 1. 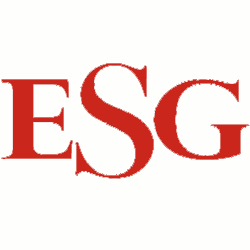 To provide a service-oriented and educational experience where participants have the chance to apply skills learned at ESG. 2. To provide opportunities for participants to develop customer service skills. 3. To help participants advance their awareness of Alberta’s Beauty Industry. 4. To provide a practical experience where participants’ employment skills and personal suitability to the industry can be demonstrated and evaluated. 5. To provide learning opportunities including possible on-the-job training. 1. Provide an orientation to the workplace, and ongoing information as needed. 2. Select appropriate tasks or projects for professional development purposes. 3. Provide other learning experiences, including staff meetings, where the participant will integrate with the rest of your team and feel a sense of belonging to their new team. 4. Provide regular supervision, including ongoing feedback about the participant’s performance. 5. Act as a professional mentor. Click HERE for FAQs including eligibility criteria to participate as an employer. In a previous article, LinkedIn reports IBISWorld’s notes stating that beauty industry employment will grow steadily through 2017 at a nearly 4% annual rate. Though these are U.S. figures, Canada is expecting a similar growth rate at 3.1%. In the article What’s Next? Beauty Industry Trends Point to Blooming Booth Rental Market, Elizabeth Kraus discusses relevant industry news as well as 6 ways the growing booth rental market might change the Beauty Industry. Renting space in your salon/spa has pros and cons. Success in this personnel model depends primarily on 2 factors: your knowledge of rules and regulations on this topic, and the tenant/landlord relationship you conduct. Like Judiffier Pearson says in the behindthechair.com’s article Booth Renting 101: A Guide for Owners and Renters, “The true spirit of booth renting is a tenant-landlord relationship”. Remember, this is an article from the U.S. thereby Canadian information may differ. If you are well-informed, renting space in your salon or spa can be an excellent method of secure income. 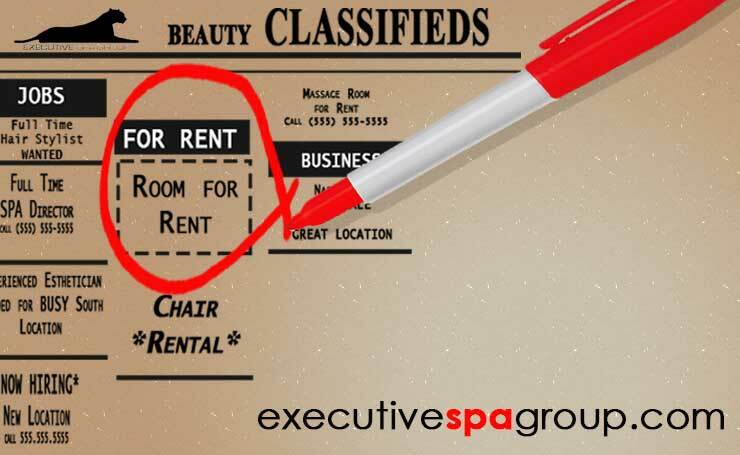 Executive Spa Group provides Alberta beauty industry employers an opportunity to promote their rental opportunities. This is a complimentary service we offer to cultivate Alberta’s beauty industry. Our job bank features a Room/Chair Rental category where you can post as many details you would like to describe. Our job bank is free, fast and easy to use. When you post your listing with Executive Spa Group, you are able to post multiple listings for up to 30 days at a time. Candidates submit their resume and other application material directly to you, thereby allowing you to be fully in control of the screening and hiring process. By advertising in our room rental job bank, you will ensure your posting is seen by beauty professional job seekers across Alberta. 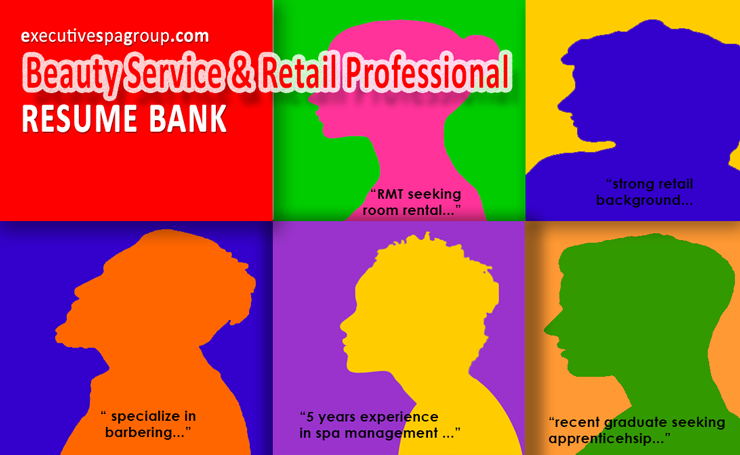 Our room rental opportunities job bank can help you reach more qualified service providers than ever before. Simply complete our template outlining the skill set you require and submit it for posting. It’s that easy. And because Executive Spa Group specializes in the beauty industry, finding service providers has never been so easy! Why post with Executive Spa Group? Our job bank is absolutely FREE! To post your chair/ room rental job listings click HERE. At Executive Spa Group, we provide employment resources and referrals to Beauty Industry Employers looking for guidance to Alberta’s Employment Rules, Labour Laws, and effective practices such as MERC and Benefits. Contact us for information on your rights and responsibilities as a salon/spa owner renting space in your location.